Principal Cast : Chris Pratt, Elizabeth Banks, Will Arnett, Tiffany Haddish, Stephanie Beatriz, Charlie Day, Alison Brie, Nick Offerman, Jadon Sand, Brooklyn Prince, Maya Rudolph, Will Ferrell, Richard Ayoade, Channing Tatum, Jonah Hill, Cobie Smulders, Jason Momoa, Margot Rubin. Four films deep into the Lego movie franchise, and the long-awaited and hugely anticipated return of Emmett, Lucy, Lego Batman and Unikitty landed with a thud into cinemas, devoid of the same hyper that surrounded the property’s debut back in 2014. In the time since the original Lego Movie, we’ve had a Lego Batman movie and a Lego Ninjago movie, all with an increasing reliance on off-the-wall humour, non-sequiturs, meta-references and scattershot plotting, each one seeming to tire more than the last, until we reach The Second Part, the redundantly subtitled direct sequel to the original film. Inexplicably, The Lego Movie 2 bombed in cinemas, barely making back its production budget despite the entire original cast returning to this popular property. 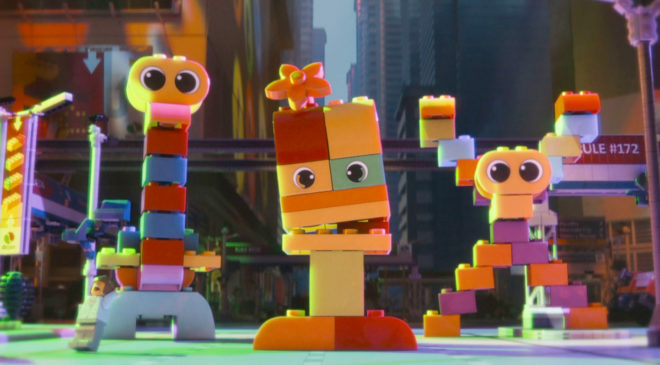 This fact shouldn’t deter you from seeking it out, however, because like its direct ancestor, The Lego Movie 2 pops with vibrant humour, deft animation, a clever self-aware plot and at least one more earworm pop-song that’ll have you punching walls in frustration that you can’t help humming it. 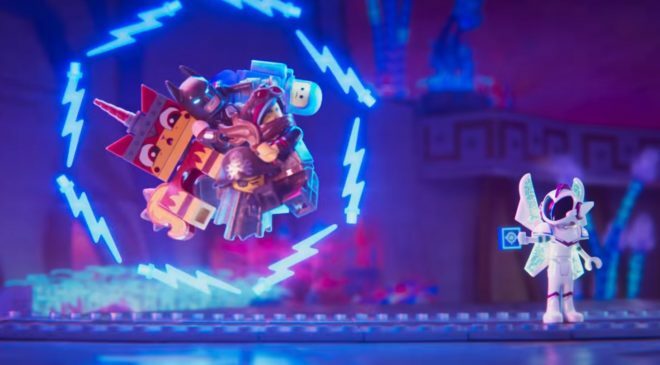 Okay, it’s not as fresh as the first Lego Movie, and some of the jokes feel a touch too masturbatory at times, but the fun and heart behind this production – co-written by Chris Miller and Phil Lord once again – is infectious and hard to dislike. Picking up immediately where the previous film left off, the residents of Bricksburg welcome creations from the planet Duplon with peacable intent, only to find the aliens wreak havoc on their city, turning it completely into a wasteland thusly dubbed Apocalypseburg. Emmett (voice of Chris Pratt) and former Wildstyle-now-Lucy (Elizabeth Banks) live a harsh life in their new world, dominated by dreams of living in their first home, before the arrival of Duplo leader General Mayhem (Stephanie Beatriz) creates confusion; the General kidnaps Lucy, Batman (Will Arnett), Princess Unikitty (Alison Brie) and Benny, the Spaceman (Charlie Day), transporting them to the crazy world of the Systar System, ruled by Queen Watevra Wa’Nabi (Tiffany Haddish), leaving Emmett to pursue them in his own craft. Emmett encounters rugged galaxy-defending Rex Dangervest (voice of Chris Pratt again), an action hero type to aids him in his quest to save his girlfriend and the world by stopping the impending “matrimony ceremony” of Wa’Nabi and Batman. 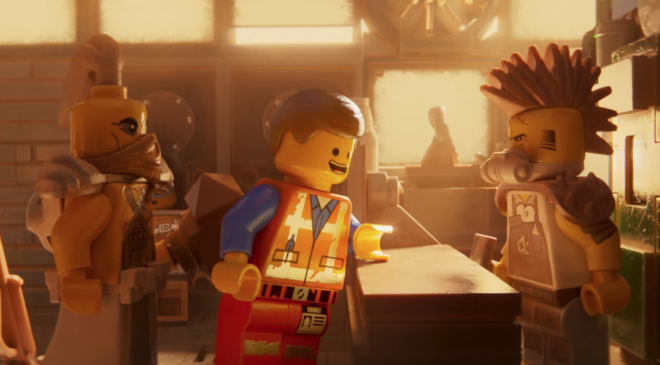 The Lego Movie 2 picks up the ball dropped by the inadequate Ninjago entry and absolutely returns to form. Mind-bogglingly insane, with an incredible amount of detail, charm and wit, the sequel to 2014’s box-office juggernaut is one hell of a fun ride. Despite Lord and Miller opting not to direct (leaving that duty in the hands of former animator-turned-director Mike Mitchell, who helmed films such as Sky High, Shrek Forever After, Trolls, and worked as an animator on both Antz and Shrek 2), the pair crafted another off-the-wall screenplay that shows us all just how clever they are at making even the most bizarre idea seem positively acceptable. Where the first film’s crux revolved around a young boy’s desire to “make up things as he goes” when playing with Lego, the sequel throws the cliffhanger monkeywrench of a little sister into the mix, with the story transporting us not just into young Finn’s imagination (here again played by Jadon Sand), but also into that of his sibling Bianca (Brooklyn Prince – The Florida Project), as the pair clash and cause chaos for the citizens of Apocalypseburg. Their clash of ideologies when playing with Lego forms the core of the film’s conflict – Finn’s boysy, Mad Max styled wasteland adventure and Bianca’s feminine-centric lovey-dovey soupcon of style – and Lord and Miller bounce ideas off this with astute observational dexterity. Where both the first Lego Movie and this sequel rise above their familial brethren is that Lord and Miller know how to work in the right balance of heart and humour, pathos and drama (such as it is when your central characters are Lego minifigures) and to their credit you’d hardly notice their absence in the director’s chair. Mitchell brings the zany energy and manic animation style – returning Aussie animation house Animal Logic pulled duty on this again, having worked on all the previous big-screen features – and seems to mainline the Lord/Miller sense of the ridiculous. The film is so peppered with references to not only other films, real-world figures and meta-textual self-analysis, it’s hard to take it all in in one single sitting. 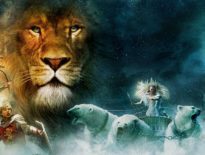 It’s a film designed for both adults and children to get totally different things about it: kids will be dazzled by the bright lights, thunderous soundtrack and gorgeous animation, while adults will spend time sifting through the pop-culture tidal wave the film messes with in its drive to entertain. As before, the inclusion of an easily catchy earworm to the mix plays havoc, a reprise of “Everything Is Awesome” as a refrain making way for the freshly minted “Catchy Song”, which is and does exactly what it says. Tiffany Haddish has a moment to shine as she performs the impossibly dexterous “villain song” entitled “Not Evil” – yeah, right – and the end credit songs reference the very end credits themselves, perhaps the ultimate meta-reference for a film packed to the gills with them. Returning favourites, such as Batman, Superman, various athletes and political figures, as well as astronaut Benny, Unikitty, and the Pirate Metalbeard (Nick Offerman), saddle up again for the insanity and it’s quite obvious everyone is having a blast. The voices and roles, from major to minor cameos, all ring with a sense of hilarious I-can’t-believe-we’re-getting-paid-to-do-this disbelief, and as the plot’s ratcheting tempo goes all the way up to 11, the hysterical nature of the dialogue only makes things that much more uproarious. To be more specific: the vocal talent these films command is far and away the best thing about them. 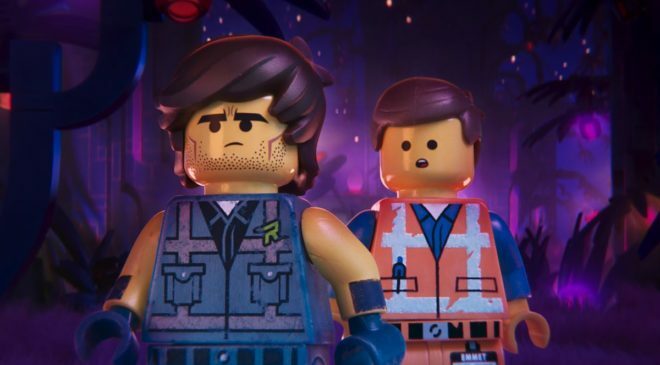 That’s not to impugn the animation itself, because once more it is blindingly obvious to all that these Lego movies are beautiful works of art – art centred around a toy line, it must be reiterated – and The Lego Movie 2 does not deviate from this whatsoever. The Lego Movie 2 is insanely clever, a film demanding multiple viewings to really parse all the layers injected into it and unwind the labyrinthine plot threads and character beats missed through sheer gut-busting laughter. And I was laughing a lot. 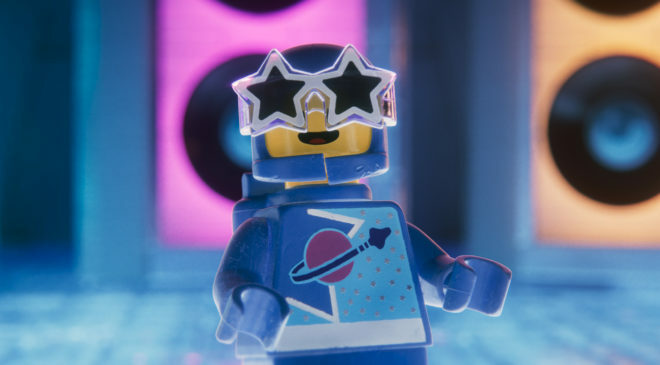 Yeah, I had a blast with The Lego Movie 2; despite it retreading some familiar ground the pace at which it travelled and the themes, ideas, humour and sense of fun it unveiled as it went along brushed any concerns I had aside. 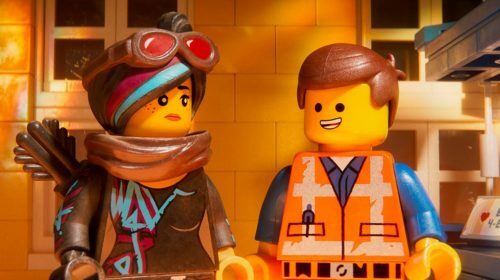 Deftly animated (again), superbly written (again) and acted (sigh, again), The Lego Movie 2 is a perfect follow-up to the original and is a rare sequel that almost entirely improves on what made the first one so… ahem, awesome. 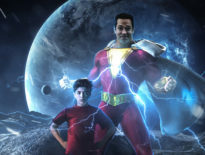 DC Extended Universe	Movie Review – Shazam!